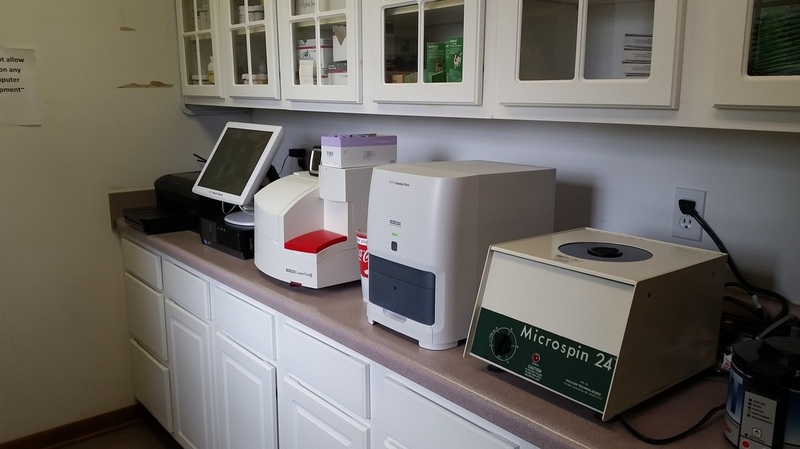 Our in-house laboratory provides us with equipment to perform a large spectrum of diagnostic testing including, but not limited to, urinalysis, fungal cultures, complete blood count and blood chemistry profiles. Our in house laboratory provides accurate results on many tests with in 15 minutes. This allows us to diagnose and treat most cases quickly and accurately. When more extensive testing is needed we can send our samples to outside reference laboratories.